I`ve allways admired people driving their old bikes as if it was "this years model" with full throttle and no fear for technical mishaps. Ola is one of these guys. 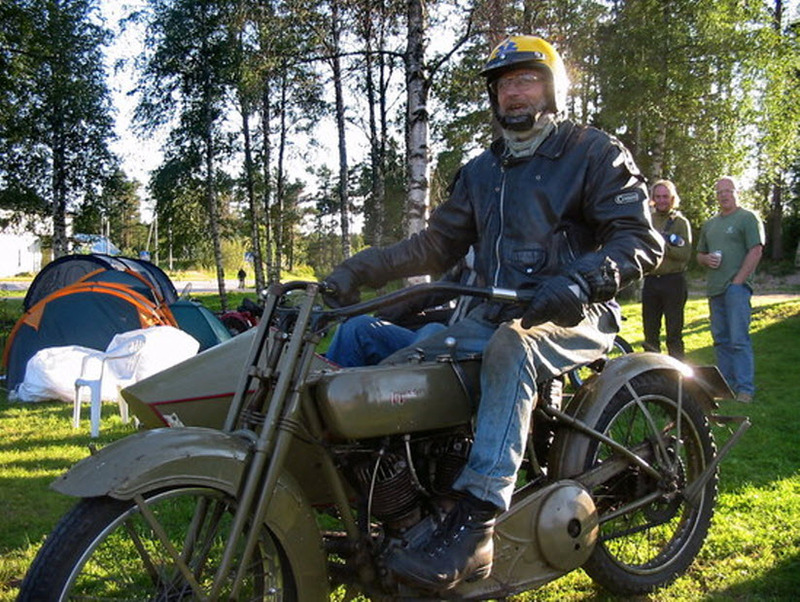 His dedication to old motorcycles in general and Harley Davidson in particular IS 100% true. 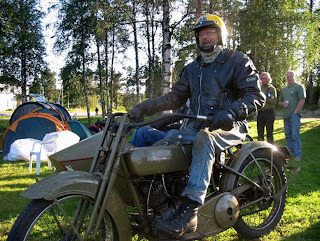 Ola shoot in action on his 1920ìsh Harley with sidecar.